The Nobel Laureate, Aziz Sancar, Sarah Graham Kenan Professor of Biochemistry and Biophysics, University of North Carolina School of Medicine, is this year's recipient of the Bert and Natalie Vallee Award in Biomedical Science, to be awarded at the 2016 meeting of the American Society for Biochemistry and Molecular Biology’ in San Diego at the beginning of April. This award recognizes his research on nucleotide excision repair in humans. In 1992, he discovered that human nucleotide excision repair is very different from the bacterial system; the damage is removed by cutting out an 88-nanometer stretch of one strand of the double helix in human cells. In subsequent years, he demonstrated that the human excision repair system requires 15 proteins; E. Coli bacteria require only three. He also detailed how these proteins assemble during the repair. This mechanism repairs the damage to human skin caused by sunlight every day. It is also the mechanism that cancer cells use to defend themselves against the DNA damage caused by the common cancer drug cisplatin. This work culminated in an excision repair map of the entire human genome, which his lab published in 2015. In addition to this work, Sancar discovered one of the four genes that control our biological clock. While investigating whether humans have photolyase, he found that humans do have a similar gene that encodes for a similar protein, but the human protein has no repair activity. He named it cryptochrome and showed that it is a vital component of the molecular clock that sets our daily rhythm. Most recently, he discovered how the four circadian clock proteins interact throughout the 24-hour cycle and what this means for treatment paradigms of various diseases, such as cancer. 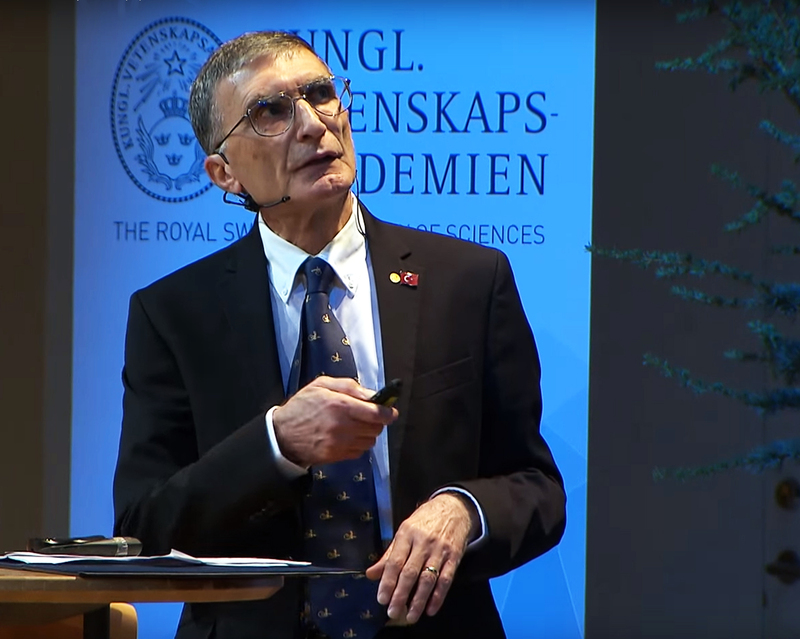 Aziz Sancar's award lecture will take place at the ASBMB Annual Meeting at 8:55 am on Tuesday, April 5, 2016, in Room 6B of the San Diego Convention Center.